Katy here and I am so excited to share with you this card featuring this cute little hedgehog taking a nap! You can find this cutie and more in the Great Impressions Online Store. 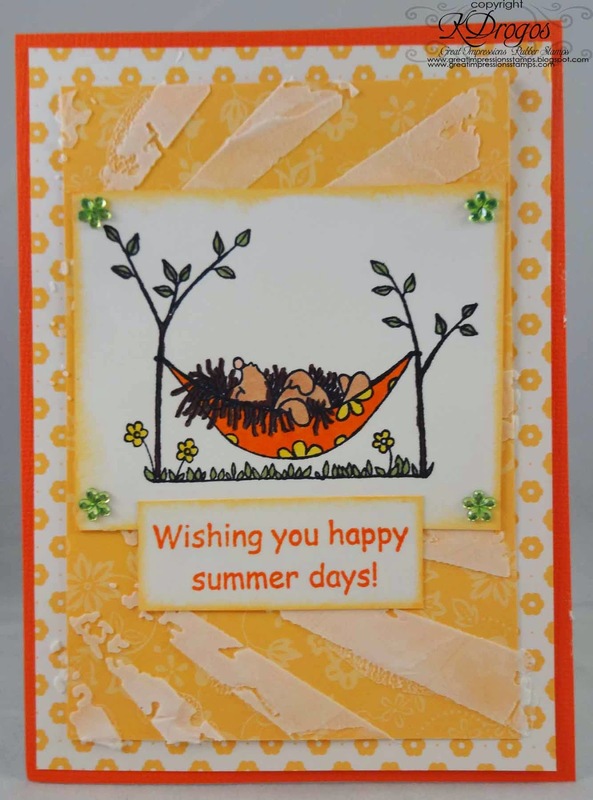 For this card I used F557 Snoozing Hedgehog and B213 Happy Summer Days! I used Copic markers to color this cute little hedgehog-and I outlined his hair with a brown Copic. I used light modeling paste and a sunburst stencil on the orange panel with the hedgehog and sentiment. The bright colors and sunburst all say summer to me! its a fun and beautiful card. LOVE the sun in the background!! Beautiful!